IS 2015 on sale at the Panda Store. Even though Panda Internet Security 2015 was just released, we were able to already secure a 25% off instant coupon at the official Panda Security Store. What’s a “instant coupon” you ask? Well, it’s a deal that’s automatically applied to your order when you go through our promo link (so no need to manually enter any codes at checkout). This offer takes the price down from $49.99 to $37.49 for 12 months of protection for a single PC. If you need more licenses, then you’ll save with Panda’s builtin volume discounts. This promotion is available worldwide regardless of your location. This deal is scheduled to end on April 15, 2019. Special pricing for existing Panda users. Before you go anywhere else to renewal your existing license if Internet Security, you have to check out Panda’s official renewal center to see how low you can pick up an extra year of protection for. Panda reserves special pricing for their existing customers whose licenses are about to expire. The prices will vary and is tailored to you specifically so it’s hard for us to saw if this will be the lowest price available at the moment. You will be required to provide your current login email address and your client number for verification. Renewal pricing available for existing customers only. With clearance pricing at Amazon. If you just need a year on Internet Security protection and you don’t care if it’s the 2015 version, then be sure to see the 2014 version that’s clearance priced at Amazon. We were able to find certain copies listed on sale for as low as $21.85. That comes out to be nearly 70% off the list price. Not bad, right? And even though it’s the “old” version, you’re still receiving the same unparalleled protection on on your PC. Remember, prices constantly change at Amazon (even a few times a day on some products) so be sure to see their site for current sale pricing on Panda Internet Security. See store for offer details and prices. Panda 2015 with price matching. 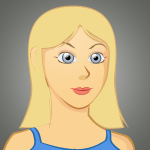 We often forget that good deals on software are not only reserved for online stores. Stores like Staples and Best Buy also deeply discount their 2015 Internet Security software. But if, by chance, they don’t have any compelling offers going on then you can bring the Manager on duty proof that you found the exact same product listed for less elsewhere and they should be able to price match it for you on the spot. Certain restrictions and limitations will apply so see your local store for details. Be sure to come prepared with the lower sale price on Panda software that you found elsewhere (most times they will even price-match up against Amazon). If you’ve never bought any products from Panda before and haven’t yet tried out their computer protection software before, then we highly recommend that you take advantage of the free trial download. Not only will you get 30 days of free protection with no oblation to buy, but you’ll be able to see how it interacts with our current machine and test out the latest interface and features. Plus, you can scan your machine as any times as you wish within the trial period. If you end up liking it, then keep it installed and only enter a serial number from your purchase to fully activate it (no need to reinstall the software). If you don’t like it or find that it’s not the perfect fit for your internet security needs then simply go elsewhere to try something else out. Panda 2016 Release Date Alerts! Be sure to signup to our exclusive release date group and we will notify you the moment Panda Internet Security 2016 is released! 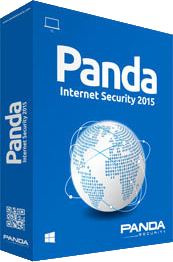 VIDEO:Panda Internet Security 2015 - Helping you use a coupon at SoftwareVoucher.com. Length: 3:40.